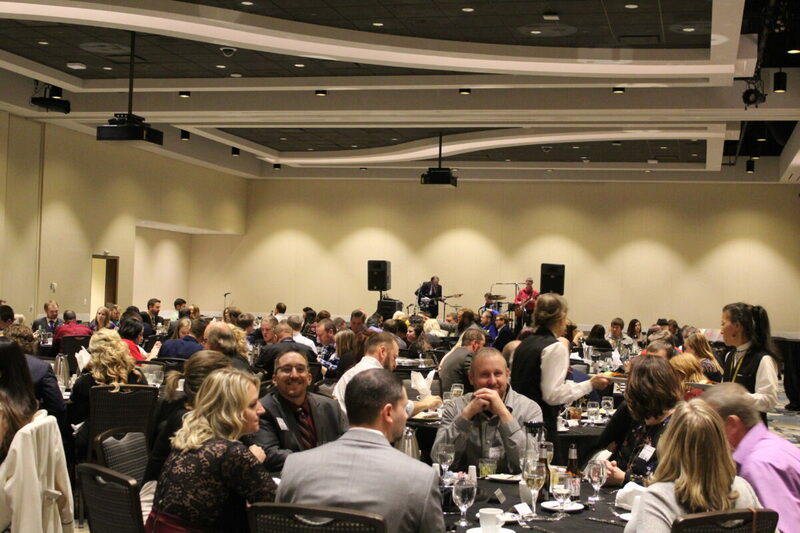 More than 100 Cal-Tex Companies employees and their significant others gathered on December 8 at Mystic Lake Casino in Prior Lake for the company’s annual Christmas Party. 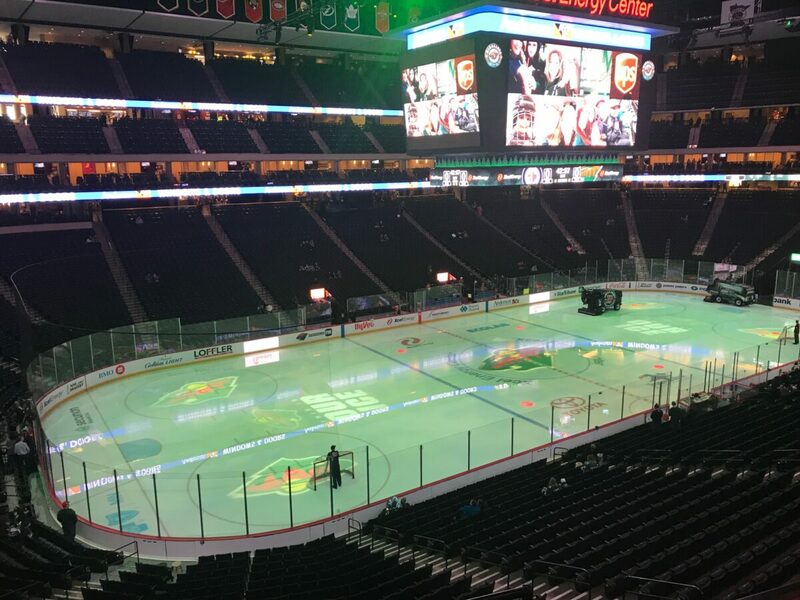 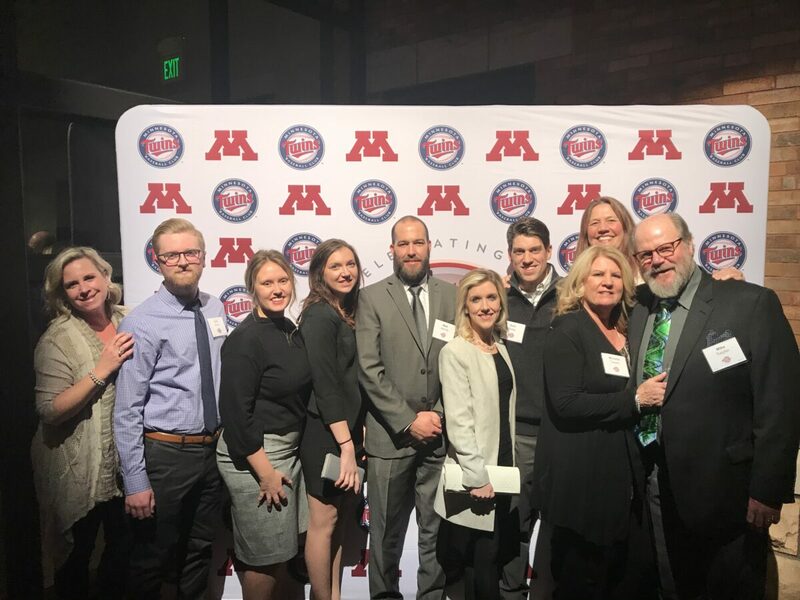 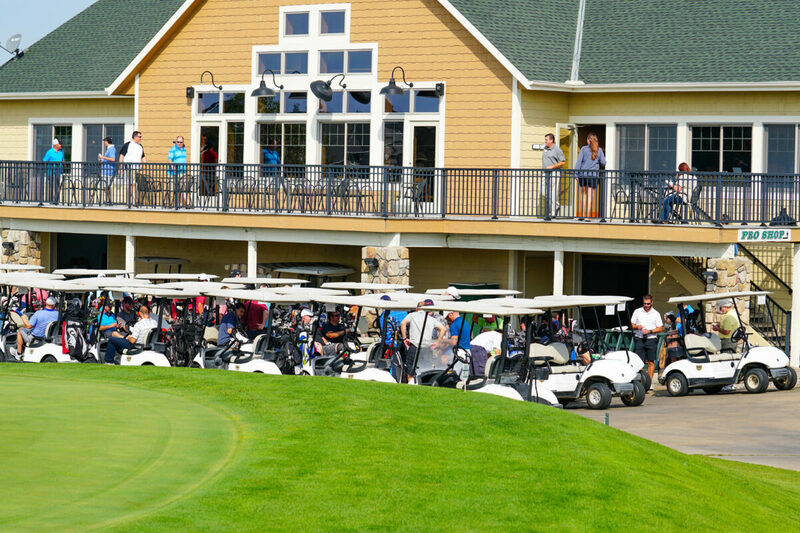 The evening was a blend of fun, recognition, and celebration of the hard work and dedication that has helped the company grow to being the leading merit-based service company in the Twin Cities. 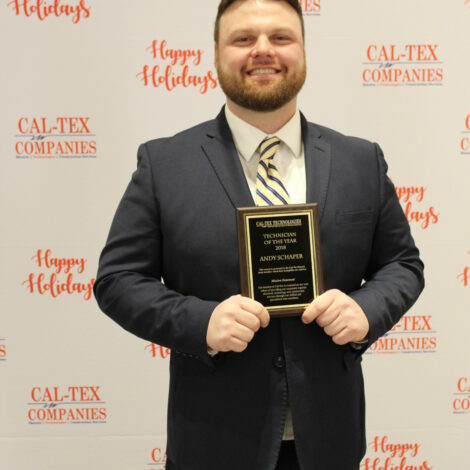 Cal-Tex employees and their significant others began the evening with a cocktail hour and some great door prizes, then enjoyed a delicious dinner and memorable entertainment. 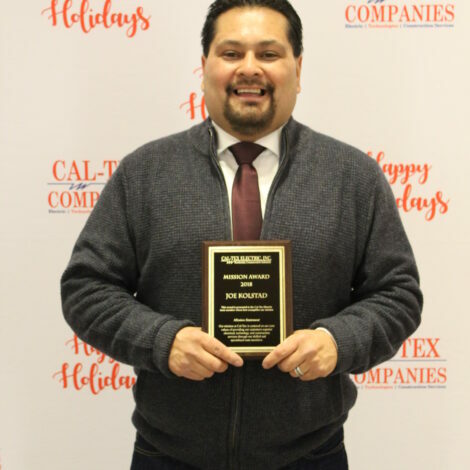 They finished the evening with the presentation of an array of employee awards. 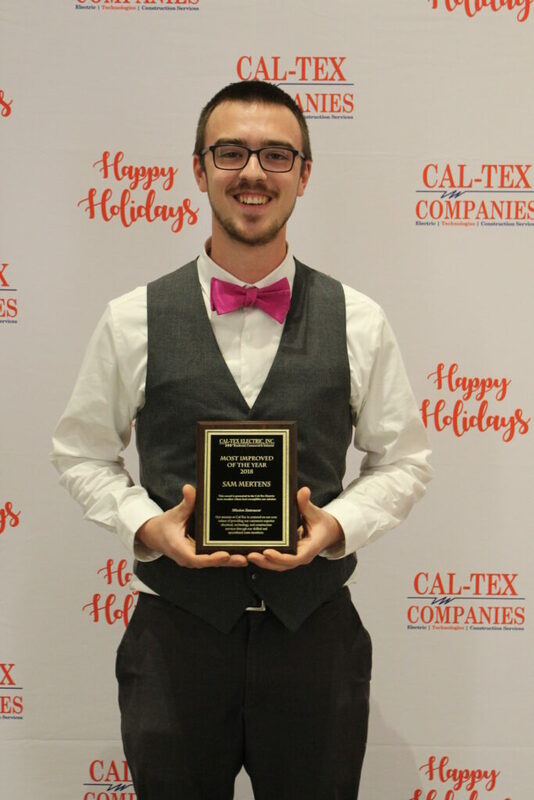 Cathy Theis, Cal-Tex Office Manager, planned every detail of the Christmas party, from name tags to the venue. 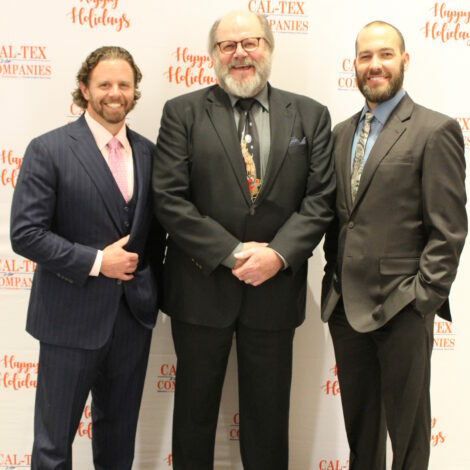 “Cathy executed an elegant party for our employees to unwind from a hectic year,” noted Mike Toepfer, COO of Cal-Tex Companies. 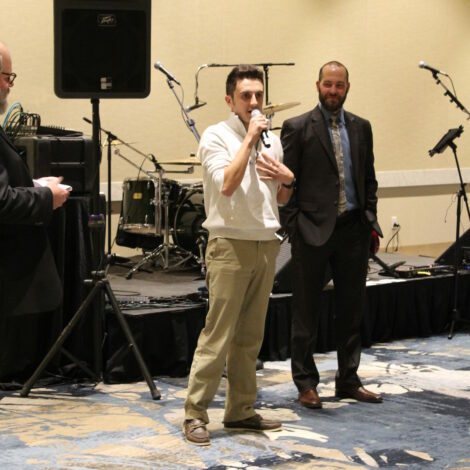 The party started when Cal-Tex employees entered the Isanti Ballroom where the Christmas Party was held and were handed a $50 voucher to either cash out or gamble on the casino floor. 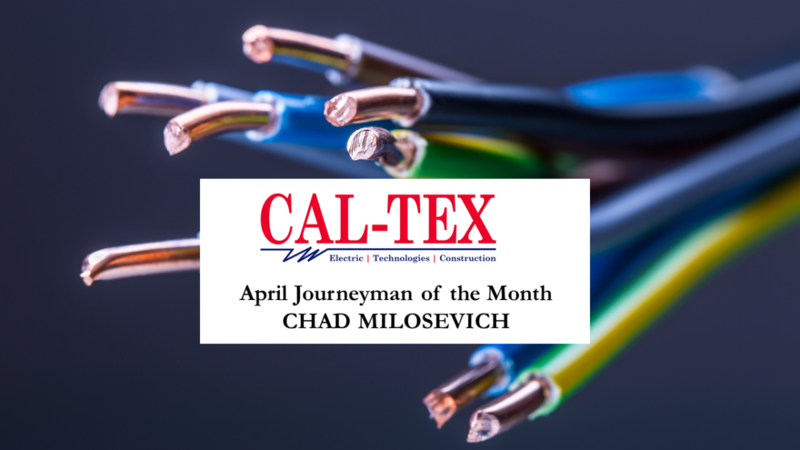 Later on, Ronnie Bassett, Cal-Tex CEO, challenged the electricians to state the company’s mission statement. 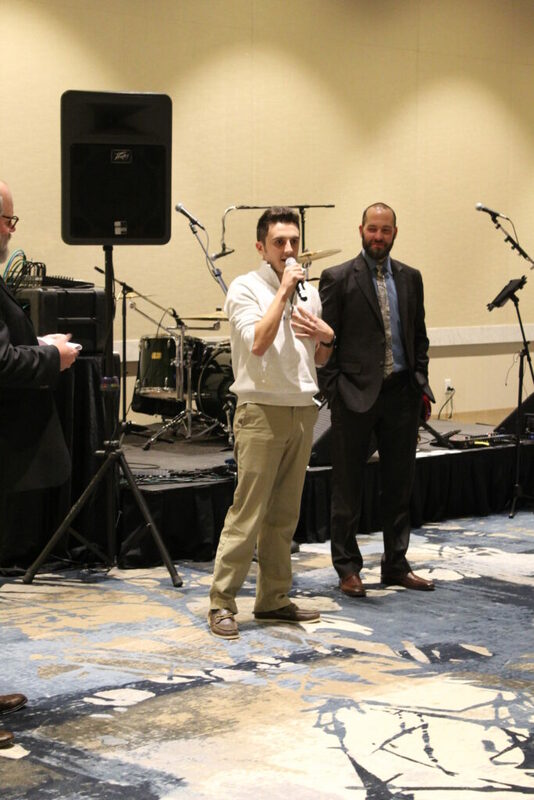 Every employee that was willing and able to cite the mission statement (in front of everybody!) 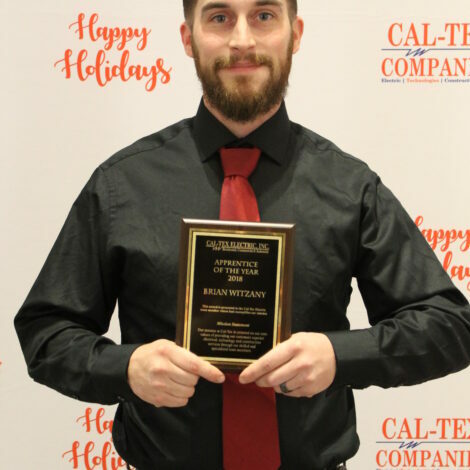 was awarded a crisp $100 bill. 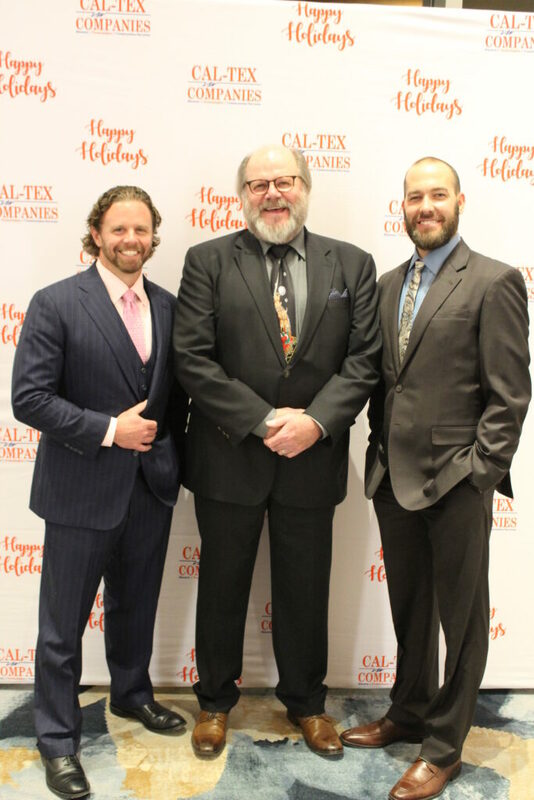 After dinner, Ronnie, Matt Arends (Senior Vice President at Cal-Tex) and Mike Toepfer (Cal-Tex COO) kicked off the awards and recognition ceremony. 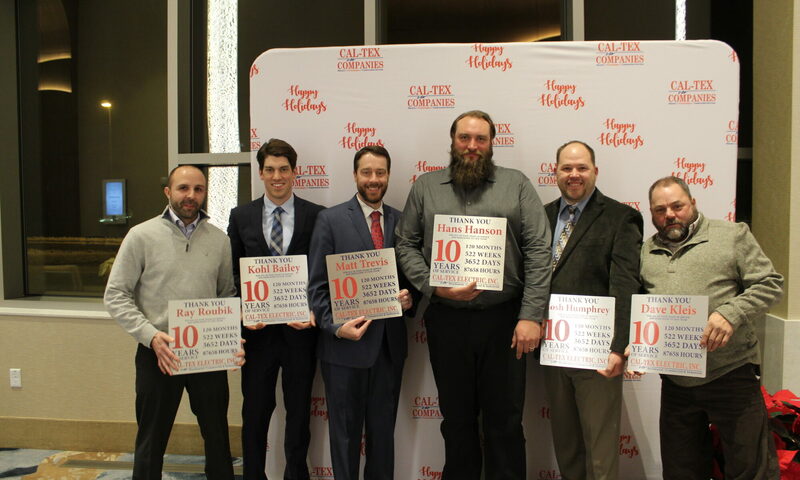 At the Christmas party, six employees were recognized for 10 years of service with Cal-Tex: Matt Trevis, Josh Humphrey, Dave Kleis, Kohl Bailey, Ray Roubik and Hans Hanson were awarded 10-year service plaques. 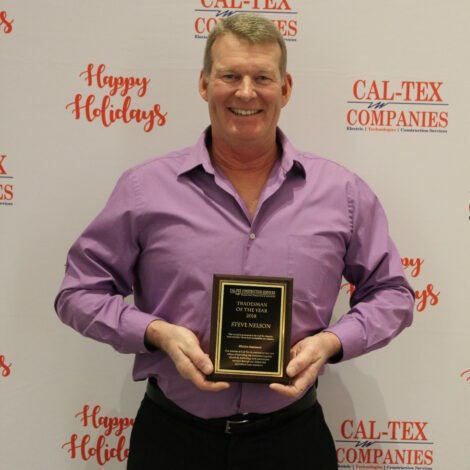 In 2018, Cal-Tex Companies expanded in the Technologies and Construction divisions. 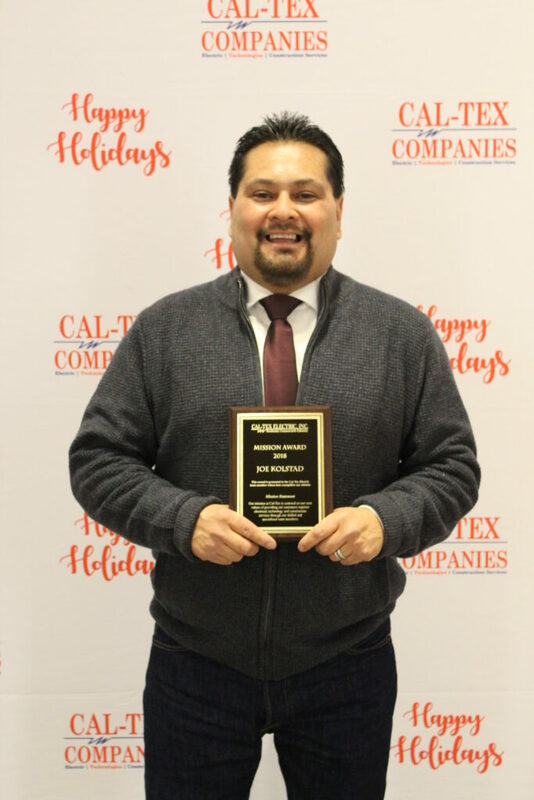 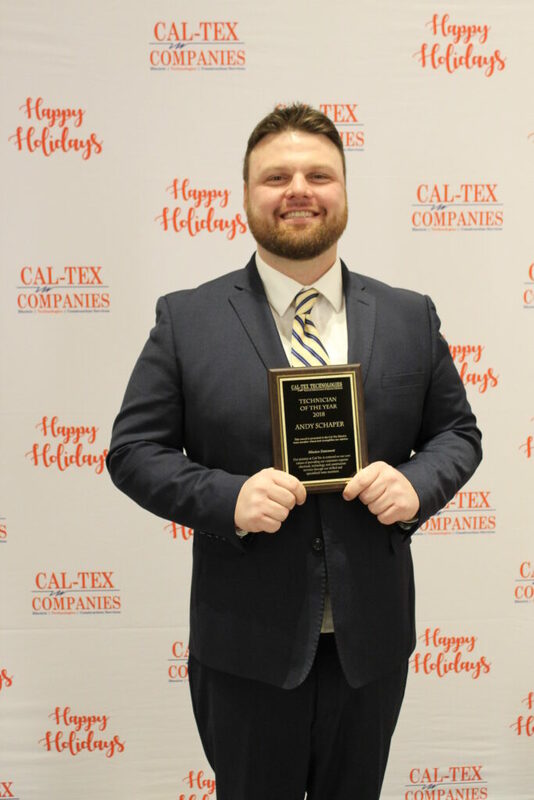 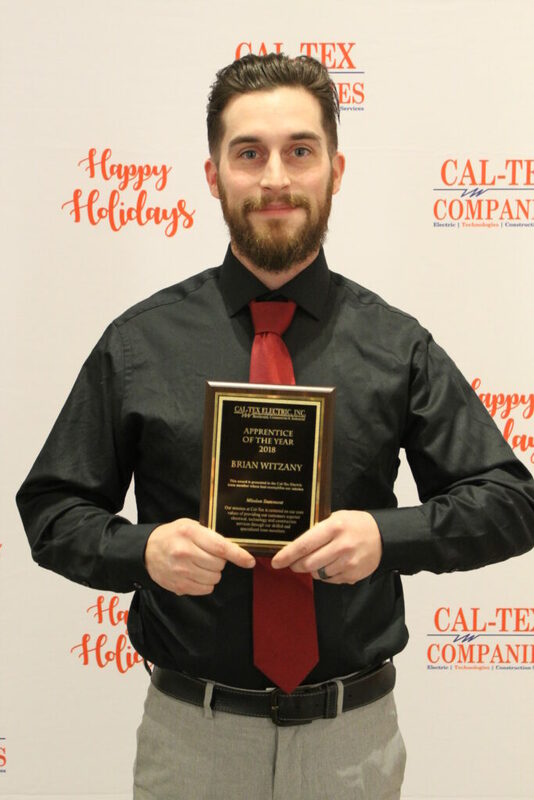 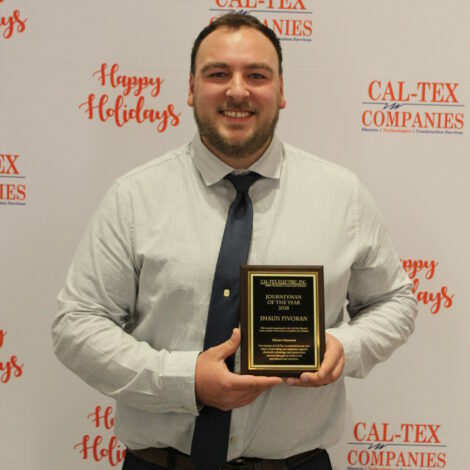 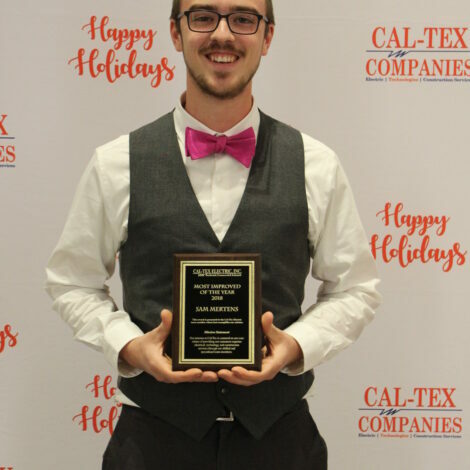 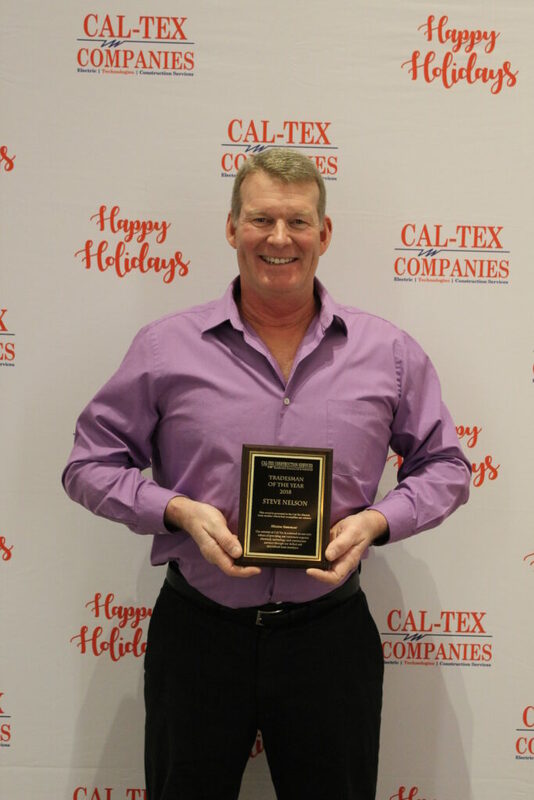 At the Christmas Party, Cal-Tex recognized Andy Schaper as Technician of the Year for Cal-Tex Technologies and Steve Nelson as Tradesman of the Year for Cal-Tex Construction Services. 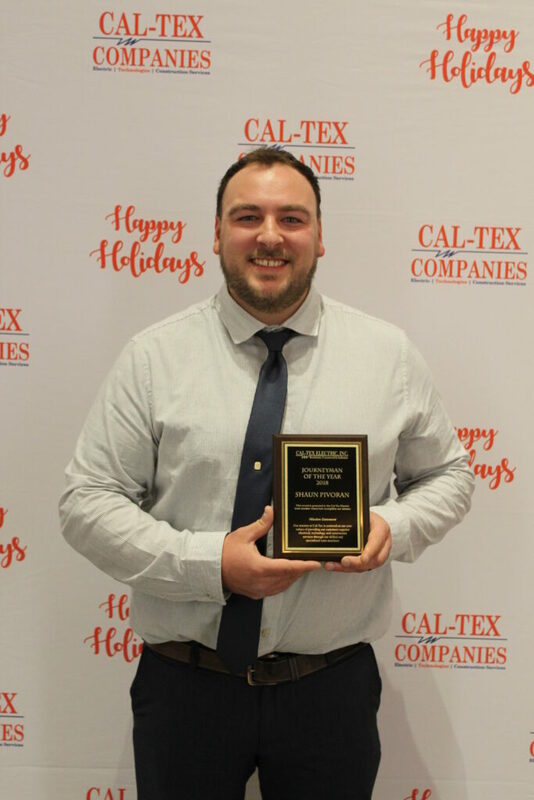 Cal-Tex Companies is proud of their employees, and all they do to represent the company in a positive professional manner. 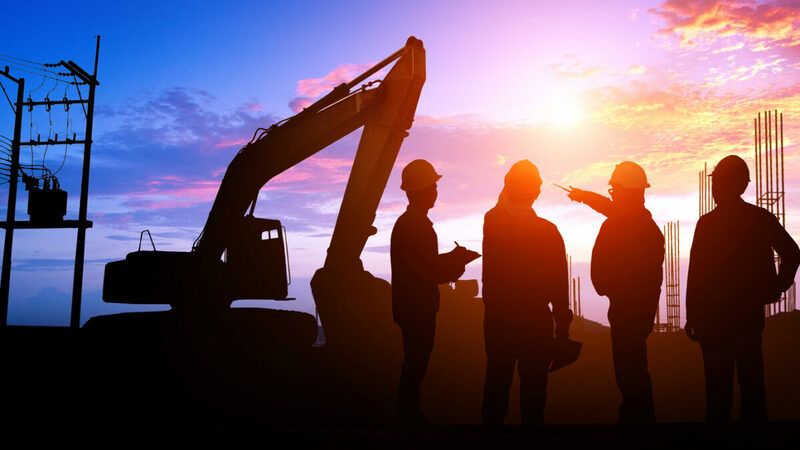 To learn more about us, visit our Company page.